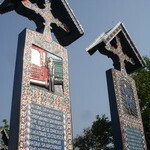 This city breaths culture at every pace, hosting a lot of memorial houses and museums. 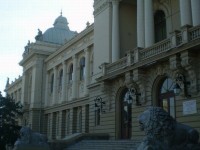 The most important are the Museumof Romanian Literature, a large complex of memorial houses of Romania’s greatest writers, and the Palaceof Culture, an impressive building hosting no less than four museums. 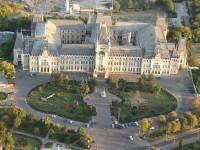 Therefore, the memorial houses and museums in Iasi are its greatest treasures, veritable testimonies of its valuable and rich historic past. In the heart of Iasi, you can find a beautiful large house, the meeting place of some of the personalities that have marked the history of modern Romania: Titu Maiorescu, Vasile Alecsandri, Ion Luca Caragiale, Mihai Eminescu, Ion Creanga, and many others. At that time the house belonged to Vasile Pogor, one of the founders of the famous literary society known as ‘Junimea’. Here, they set up the prestigious magazine ‘Literary Conversations’ (1867) where Romania’s elitist writers published their creation for the first time. Nowadays, this museum hosts an authentic literary treasure, consisting of manuscripts, books, personal objects, art, photos, audio and video recordings. They give a detailed, metaphorical image of the depth, complexity and ineffable beauty of the Romanian literature. 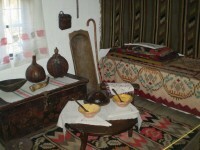 This image is completed by the Museum of National Romanian Literature in Bucharest. 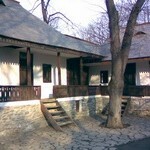 Though the centre of the museum is represented by the Vasile Pogor Memorial House, the museum is in fact a complex of 12 museums and memorial houses, among which you can even visit the first Romanian memorial house organized as a museum (in 1918), namely Ion Creanga’s cottage. The museum has permanent as well as temporary exhibitions. The ‘Moldova’ National Complex Museum can be found within the Palace of Culture, a monument of architecture built in Gothic style between 1906 and 1925. The building is the most famous creation of architect I.D. Berindei, overlapping the remains of the ancient medieval royal court mentioned in 1434 and of the later palaces. For its construction, Berindei replaced the stone blocks with lighter and much less expensive materials. In addition, the building was equipped with highly modern facilities, such as electric lighting, heating (pneumatic), ventilation, thermostats, and vacuum cleaners. The construction, inaugurated on11 October 1925, served as Administrative and Justice Palace until 1955 when it became the host of some of the most important cultural institutions of the city, known today as the ‘Moldova’ National Complex Museum. This complex includes four major museums: theMuseumofHistory, the ‘Stefan Procopius’ Museum of Science and Technology, the Ethnographic Museum of Moldavia and the Museum of Arts. Moreover, the complex also includes the Conservation and Restoration Center of Cultural Heritage. Therefore, the memorial houses and museums in Iasi are a pleasant means to get in touch with Romania’s history and culture and get a glimpse of its majestic past.